Nowhere are the words "story" and "continuity" used more interchangeably than DC Comics, which has engaged in a fairly regular series of reboots and relaunches since the mid-1980s - via a series of events collective referred to as Crises. So while many fans were upset to see the company effectively wipe its continuity clean (again) for the controversial New 52 initiative, many more opted to take it in stride assuming that a revival-reboot was an inevitability - with news of an upcoming event titled Rebirth seeming to confirm their conjecture. However, it now seems that may not be the case after all. DC Comics' CCO Geoff Johns has taken to social media to clarify that Rebirth is not a reboot after all, apparently. Posting to Instagram, Johns offered up an image based on the original "blue curtain" Rebirth image (originally posted by DC co-publisher Jim Lee) with the words "It's not a reboot... and it never was" added below the original text. No further clarification has been offered by Lee, Johns or anyone else in the DC leadership. It is largely unclear what Rebirth could be referring to if not a line-wide relaunch like the one that birthed the New 52 continuity. However, given DC's predilection for such events, it could plausibly refer to everything from the return of an individual character either "dead" or long-unpublished to a full-fledged return of The Multiverse (which appeared to have been mostly obliterated by the events of Flashpoint). The DC Multiverse (which has now officially become part of the company's network television shows as well) was originally created by writer Gardner Fox to explain away the plot-hole of Superman interacting with both the Silver Age Flash (Barry Allen) and Golden Age Flash (Jay Garrick) despite the earlier speedster having been retconned to be a comic-book character admired by Barry (prior to attaining his powers) - revealing that the DC superhero stories of the 30s and 40s actually took place in an alternate universe ("Earth 2") that certain heroes could interact with and travel to. DC would eventually use this concept to add a vast catalog of alternate Earths to its broader narrative; the publisher eventually came to consider that too confusing and, in the 1980s, commissioned the landmark year-long miniseries Crisis on Infinite Earths to correct it - collapsing The Multiverse into a singular continuum. Since then, however, everything from individual stories (Grant Morrison's revamp of Animal Man) to entire series (Zero Hour, The Kingdom, Final Crisis) have cropped-up dedicated to restoring either entire chunks or individual characters to their "pre-Crisis" origins. If Rebirth is not meant to be a full-scale restoration, it remains possible that it could still be grounded in Crisis-fixated storytelling. Some fans have also speculated that the upcoming establishment of a DC Cinematic Universe on the big screen via Batman V Superman: Dawn of Justice could signal the company making moves to bring its mainline continuity closer to the version fans will be getting in theaters, though there has been no clear consensus on whether or not that is actually the case. Others have maintained that it could be another run of new books reviving classic characters, though this is also speculation. 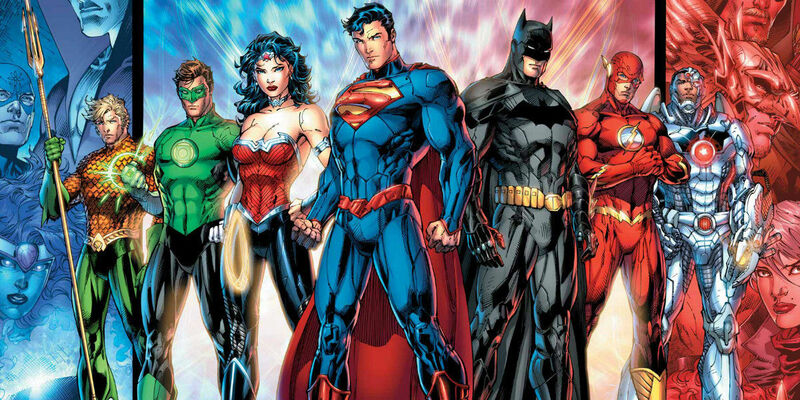 NEXT: Will the DCEU Lead to Another DC Comics Reboot?